Feeling sorry for your beloved dog getting all soaked in the rain? We know that feeling… But now there’s Canine Raincoat, a raincoat made for dogs based on the same principles of an umbrella. The coat is made out of water-repellent nylon and has a soft fleece on the inside to not only keep your dog dry, but also warm. The raincoat is fastened to the chest and belly so running, jumping and playing around can still be done without getting wet! And honestly – just how cute does it look on this puppy?? 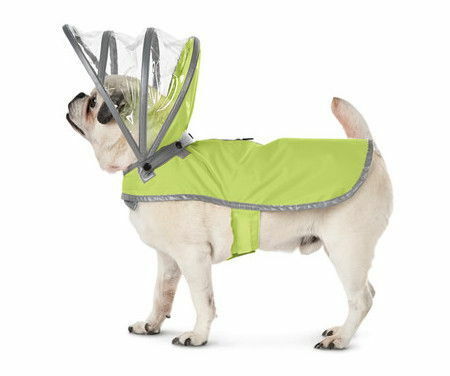 The Canine Raincoat is available for $49.95. For more information, click here.